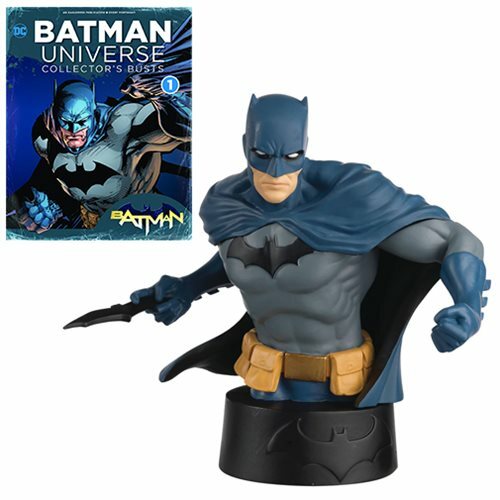 The DC Batman Universe Bust Collection covers over 75 years of Batman comics, TV shows, movies and video games. The Batman Universe Bust Collection Batman Bust with Magazine #1 measures approximately 5-inches tall, and comes with a 16-page magazine packed with information about the bust, Batman, and over 75 years of DC comic book, TV, video game, and movie history. Ages 13 and up.